Hardesty, Smith to duke it out for Portland City Council seat in November general election. 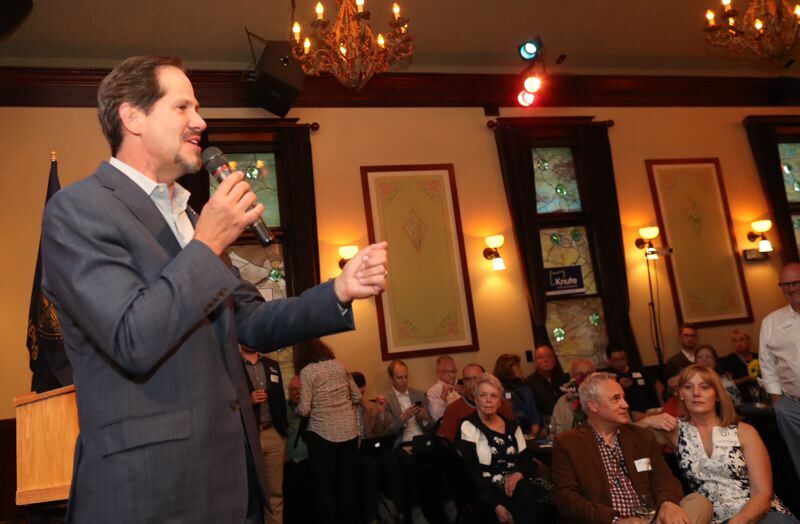 State Rep. Knute Buehler easily won the Republican nomination for Oregon governor Tuesday night, setting up what figures to be a competitive race for the state's top seat against Democratic incumbent Kate Brown in the November general election. Although late polls showed Buehler losing ground to the other two major Republican candidates in the race, he resoundingly defeated both Sam Carpenter and Greg Wooldridge. Buehler did surprisingly well against Brown in his first run for office in 2012. He received 43 percent of the vote for Oregon secretary of state compare to 51 percent for Brown, with the rest of the vote going to three minor candidates. "The change we all need has started with victory tonight and the road to a better Oregon begins tomorrow in earnest," Buehler said. Brown is still the favorite, however, because Oregon is such a heavily Democratic state. In a press release issued before the results were known, Brown called on whoever won the nomination to participate in at least three debates and as many joint appearances as possible during the general election. "Voters deserve to hear directly from us where we stand on the issues," Brown said. In Portland, the next City Council will include its first-ever African-American woman, although the final decision will be made in the November general election. Although civil rights activist Jo Ann Hardesty finished well ahead of Multnomah County Commissioner Loretta Smith, she did not win more than 50 percent of the vote, triggering a run-off election. 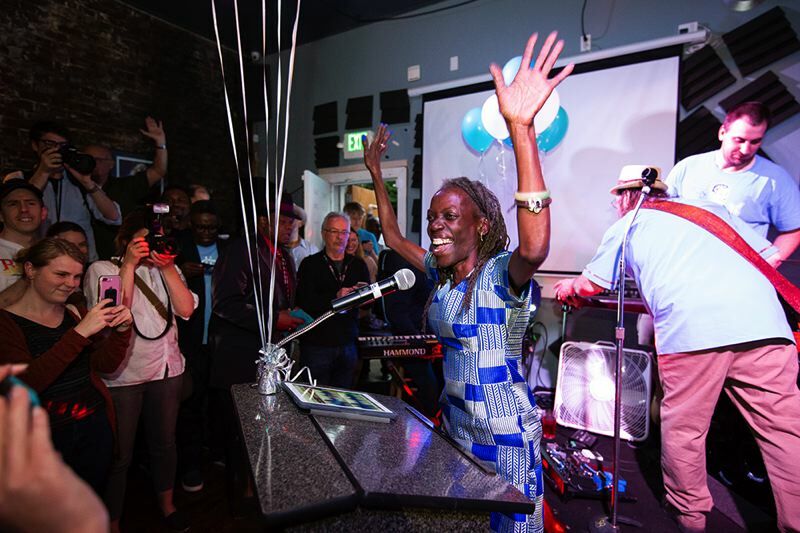 "This campaign was about drawing a line in the sand — the status quo is no longer acceptable in the city of Portland," Hardesty said on election night. 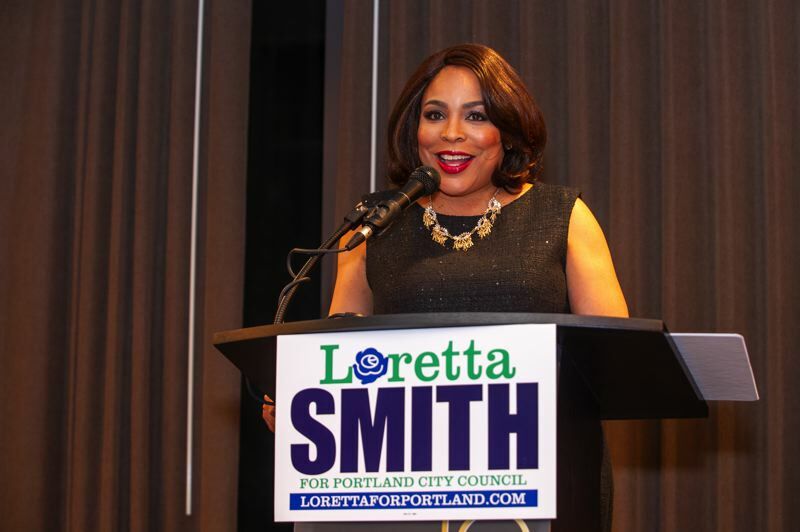 Despite trailing Hardesty, Smith promised a tough fight in the run-off election. "We knew we had a hard race to run and we ran that race. Now we've got to show them what it's all about," Smith said. Smith has come from behind to win before. During her first race for the commission, she trailed Karol Collymore in the 2010 May primary election by 18 points, but defeated Collymore in the general election by a margin of 62 to 37 percent. The political landscape will likely be far different in the general election. Only around 27 percent of Multnomah County voters returned their ballots by the Tuesday deadline, a far lower percent that the last non-Presidential primary in 2014. The returns should be much higher in November because of the Oregon governor's race — and many voters will be unfamiliar with both Hardesty and Smith. Liberal activists are also working to place a measure on the ballot supported by Hardesty and opposed by Smith to tax large businesses to fund green energy projects. Commissioner Nick Fish was easily reelected to the Portland City Council, fending off environmentalist Julia DeGraw. "I feel such gratitude for the vote of confidence Portland has given me," Fish said. "I ran on my experience and on my record of working with the community to solve problems." "This has been the hardest year of my life," Fish continued, referencing his ongoing battle with cancer and debilitating chemotherapy treatments. Three of the biggest surprises of the night took place in Washington County. In the hotly contested district attorney's race, Deputy D.A. Kevin Barton trounced reform-minded lawyer Max Wall. Barton was heavily outspent by Wall, who was backed by a secretive Washington D.C. political action committee that would not reveal its donors. Speculation focused on liberal billionaire George Soros, who has backed criminal justice reform candidates in other D.A. races around the country. The race for Washington County chair was led by Metro Councilor Kathryn Harrington, who will face off against Vice-Chair Bob Terry in the general election. Former legislator and business leader Ryan Deckert finished third, despite raising the most money in the race. And in a rare defeat for an incumbent, Washington County Commissioner Greg Malinowski was defeated by first-time candidate Pam Treece, the executive director of the Westside Economic Alliance. In the closely-watched race for state Senate District 24, incumbent Rod Monroe was easily defeated in the Democratic primary by lawyer Shemia Fagan. The race was widely seen as a referendum on rent control. Monroe, a Rockwood-area apartment owner, was accused of preventing the 2017 Oregon Legislature from repealing the statewide ban on local rent control measures. "I'm thankful that they put their trust in me," said Fagan, a former state House member. "This is a district that is in need of a fighter, and I'm so honored that they chose me." In Clackamas County, controversial clerk Sherry Hall was forced into a runoff by Pamela White.